The first thing they shared was always their story of how Journalution had changed their life and how they were filled with gratitude over that. But the second thing they wanted to share with me was their request for an audio version! I hadn’t entertained the idea of an audiobook and my publisher hadn’t really mentioned any plans for one but I kept getting the requests and my heart strings kept getting pulled by them. I wrote the book to help others (and heal myself) so the more I thought about it, the more it became clear that I had to do it! Finally, the time came and I locked myself in a recording studio for days and nights and read my book! It was so much fun! And, every time I thought of something new I’d learned, or a story that had happened since writing the book, I just added that in there too. After all, it felt like I was having a conversation with all of the beautiful people who had asked for it! 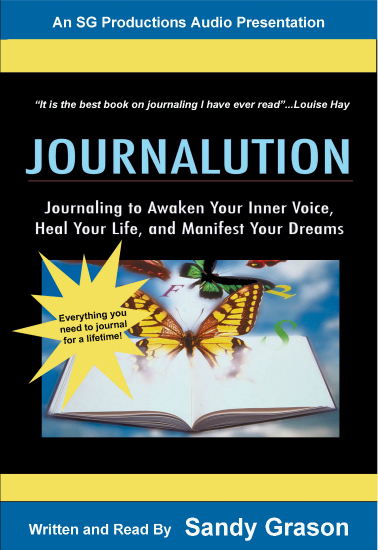 So, when you purchase the audiobook, you’ll get the entire, unabridged version of JOURNALUTION read to you by ME… PLUS, you’ll also get extra commentary, stories and updated lessons that are not in the printed book! The truth is, journaling changed my life in such powerful ways, I can’t imagine where I’d be without it. Written in this book, is the journey that healed my life. If you’re stuck and want that to change, I know this will help you. So get going! Let this be the year to get your dreams down on paper and make a plan for your TRANSFORMATION! CHAPTER 1 – Where Do I Start? Through my journey as a self-help guru. I knew the importance of taking time each morning to sit and visualize my day going really well, feeling focused and on track and seeing my Big Vision coming to me. I knew that my days would be much more productive and I would make great strides in creating the life of my dreams if only I could accomplish this feat. I didn’t find what worked for me so I created it! About 15 minutes each, not too “out there” in woo-wwo land, and totally effective! Learn more and get them here. 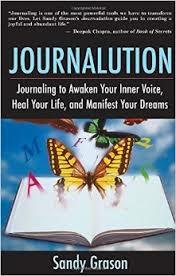 These are the journaling prompts contained in the book, Journalution. I created these for the many people who wanted to listen to the prompts while writing. They became much more popular than I imagined and many people found that they went back to them time and time again. Sometimes, we journal in “layers” so we’ll use the same prompt over and over again and what comes out of us goes deeper and deeper into the layers that have been long covered. Learn more and get them here. The Journalution Book That Started It All! This is my baby! My pride and joy! The book whose journey to birth is the journey that would forever change my life by healing my past and putting me on strong enough ground to create the future I wanted for myself. You can get it on Amazon right here.